After receiving an undergraduate degree at the University of Florida in 1993, Jenny pursued a doctorate in the field of dentistry at UF. 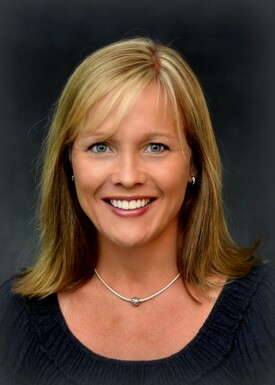 Her artistic abilities, love for science, and inherent draw to healthcare made dentistry a natural choice and allowed her to excel at the highly respected University of Florida Dental School where she graduated with high honors in 1997. After graduation, Dr. Askeland completed a residency in Advanced General Dentistry at the Medical University of South Carolina and moved to the Treasure Coast in 1998. In Stuart, she went into private practice where she has developed an approach to dentistry unequaled in personal attention and professional care. Dr. Askeland maintains a solid foundation in family dentistry with a strong focus in comprehensive cosmetic and restorative dentistry. She continues to further her knowledge in all aspects of dentistry through continuing education seminars both on a local and national level. Dr. Askeland’s dedication to her profession is evident through her commitment to organized dentistry. Memberships include the American Dental Association, Florida Dental Association, Atlantic Coast District Dental Association, and Treasure Coast Dental Society. She also has a deep commitment to her community and is an active member of the Junior League of Martin County. Dr. Askeland and her husband, Ryan, reside in Stuart with their three young children, Lauren, Luke, and Nicklas.